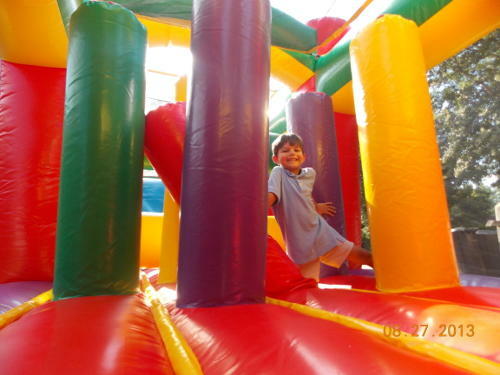 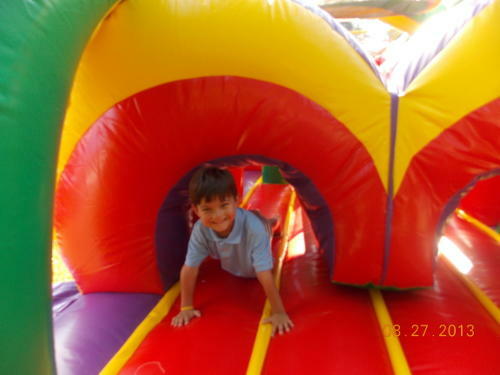 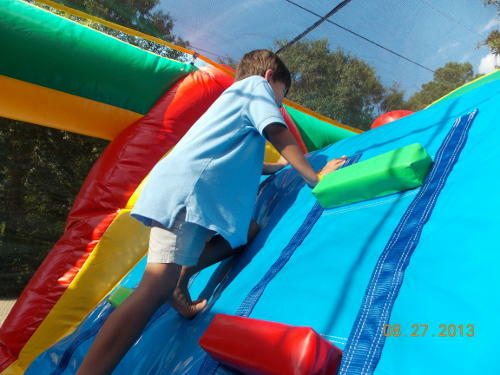 The 30-Foot Radical Run Obstacle Course features seven exciting elements and two lanes of fun. 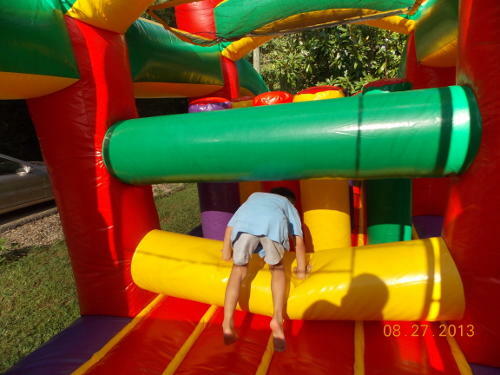 This is perfect for backyard parties. 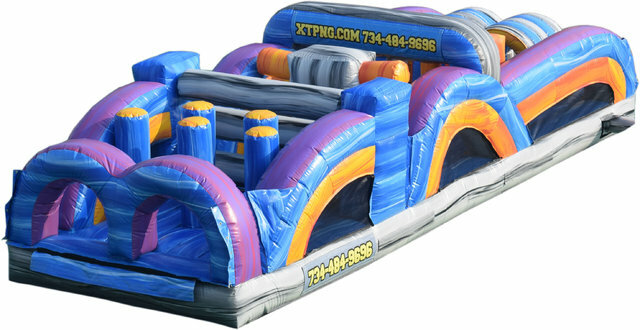 It doesn't have a slide, but it has many unique obstacles and plenty of room for bouncing around and having fun. 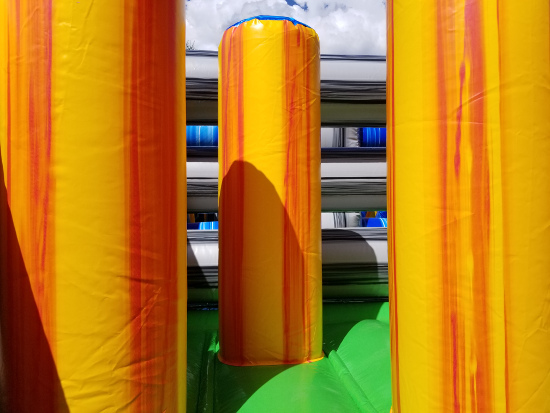 Double lanes means two players can challenge each other to a race through the course. 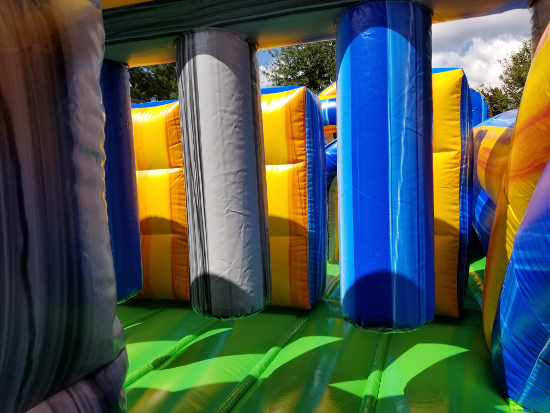 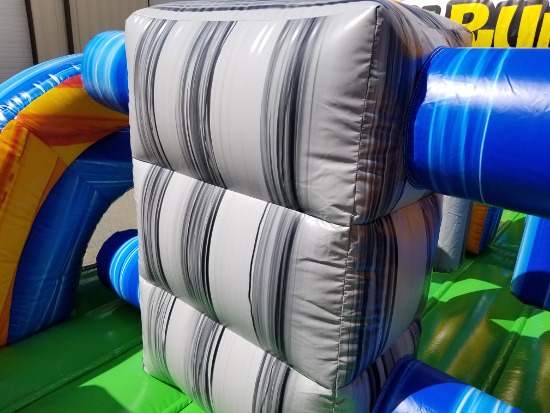 NOTE: You can rent this as a stand-alone unit or as part of several exiting two or three-piece configurations.Check out the 60, 65, and 95-foot version of the Radical Run series of obstacle courses.